Das 2020 LiFF - Lucerne International Film Festival wird gegen Herbst 2020 bei unserem Gastgeber in Luzern durchgeführt. Momentan akzeptieren wir keine Filmanmeldungen. Vielen Dank. Welcome to the 2020 LiFF Lucerne Int'l Film Festival. The LiFF Lucerne Int’l Film Festival will be the official presenter of a world premiere movie (title to be announced) hosted by our official partner (to be announced) and presented in Lucerne, Switzerland. Currently we do not accept submissions. This will be an exciting new edition of the LiFF Lucerne Int’l Film Festival.The festival will be organized by a complete new team headed by Gilles Tschudi as the festival host and director. With an official world premiere of a large studio blockbuster (title to be announced) and a live red-carpet broadcasting throughout the world (via internet) the next gen LiFF edition will be a blast. Due to lack of sponsors for the 2017 LiFF as well as the current belligerent attitude against the Swiss film and movie industry the original founders and volunteers decided to completely re-organize the LiFF and turn the torch over to a new team. And the new association running the festival is currently regrouping and planning for a new launch of the LiFF Lucerne Int'l Film Festival late 2020. Stay tuned for new announcements from a new group of organizers. There will be a total of three red-carpet events, which will be hosted by long-term host Gilles Tschudi. And you can expect quit a few surprise guest stars appearing at the LiFF 2.0. 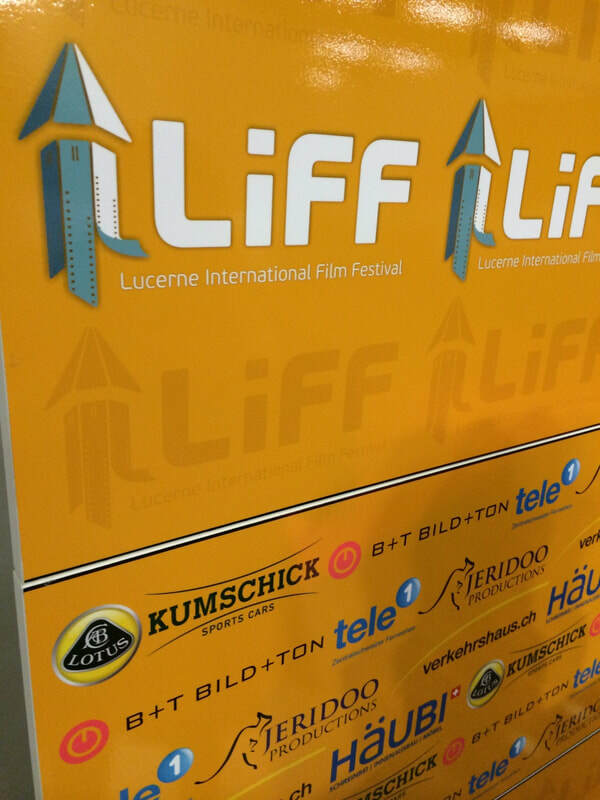 For the first time, the LiFF will be a true red-carpet events visible around the world and available on major broadcasting stations including YouTube Live and Facebook Live as well as on several major Swiss television broadcasters. WE ARE HAPPY TO COUNT ON WITHOUTABOX!